Have you always wanted to know how to learn Korean with songs? Maybe you have a Korean speaking friend you would like to have a conversation with. FluentU is something you are going to love! Get your vocal chords ready to add some modern Korean culture into your life with lively, colorful K-pop music. 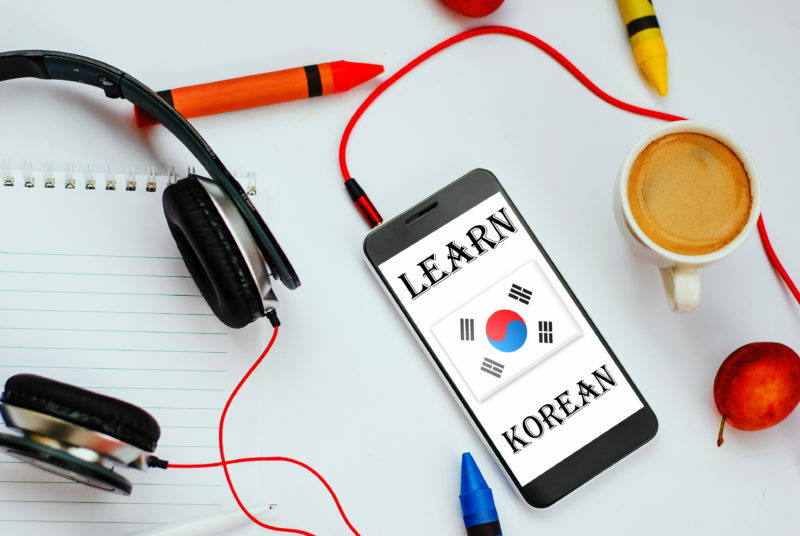 Although there are many fun Korean things you can do while learning how to speak Korean online, such as checking out some cool videos or watching interesting Korean movies, this may be much more fun. If you already tried this, and it didn’t work for you, give it another shot. Brush up on your easy Korean listening skills with some of the great easy songs compiled and listed below. Many popular songs today are catchy, mainly because they have a powerful groove, however, if this makes things more difficult to comprehend, than pick another song… one that has a more laid back tempo. That should help take your mind off the beat so you could pay more attention to the lyrics. It will also help take your attention off the musical elements that are distracting and focus more on the Korean language. Songs can be hard to follow even when sung in our own language. For example, a bad choice of words and unusual vocal styles can make the vocals unclear. That’s why it’s important to choose songs that have clear pronunciation sung by singers with a crisp enunciation that thoroughly pronounces each word. Because a singer will speak the words instead of singing them in slow rap songs, you can understand them better. Same goes for slow Korean rap songs, therefore if upbeat Korean rap songs are quite difficult to understand, then use a song with a slower tempo that has clearer vocals. Repetition can make it much easier to remember song lyrics. Basically, you want to sing a song without having to read the words. Therefore, a catchy tune, with repeated lines, and a great chorus, should help you learn a song fast. All of the music videos on FluentU are broken down by level, so you won’t waste any time checking to see if the song is easy for you to learn it. Another plus for FluentU is that it turns real-world videos such as news, music videos, inspiring talks, and movie trailers — into personalized language lessons. “Arirang” is sometimes noted as the unofficial National Anthem of Korea. This well-loved folk song is about a lady who complains about her lover not having any feelings. Much to her dismay, he took off, even though she loved him. The song represents the Korean people’s joys and sorrows and was a symbol of the independence struggle, Korea underwent under the Japanese annexation. Because it’s so famous, “Arirang” is a must-know. Not only will the strong cultural components of the song help you learn a number of expressions, but it will also teach you a vocabulary for speaking of travels and geography with vivid descriptions of movement, scenery, and landscapes. In Korea, this catchy and easy tune that can help you study may be the best-known children’s song. Practically everyone knows the lyrics to this song in Korea. It’s about a mountain rabbit that hops along the hills and hides in the grass while trying to find chestnuts. It is a great tune to help teach vocabulary pertaining to animals that populate the Korean peninsula. “Mountain Bunny” is a fun way to introduce the onomatopoeias since it mimics the actions and sounds of this furry protagonist. Another dearly loved popular kid’s song in Korea today is, “Three Bears”. This is an incredibly endearing tune that is also very straightforward, yet even though it’s simple, it is great for proving that elaborate vocabulary is not needed to tell a touching story. The song relates to a family of bears, that each have their own unique personality and looks. The bears live happily together in a house where Papa is a big fat bear, Mama is a thin bear, and the cute one is, Baby Bear. If you want to learn the basics without a struggle, “Three Bears” is perfect for you. It will help you learn all of the Korean sentence structure essentials that include key and root vocabulary and word order. It’s also a fun way to pick up expressions and words that help describe the appearance of a family or an individual as well as numerals and counting units in the Korean counting system. This is a traditional romantic folk song in Korea that is very well-known throughout the country. The song tells a story about a young lady called, “Kap Soo-ni,”, and her lover, “Kap Do-li”. The two lived in a village where they fell in love, but didn’t let each other know about their feelings and end up marrying someone else and because they weren’t together they suffered. This song is a great way to learn the Korean structure of reported speech. The story is not merely told by the narrator, but he talks about what he heard and tells the story in an accurate and moving way, resulting in each sentence incorporating the patterns and endings of indirect speech. Furthermore, there are also a number of action verbs in the song that help move the story forward while the idioms are useful in making your Korean more natural sounding. If you would like to practice this song in a more approachable way click here for the karaoke version. The charismatic singer, “Nam Woo-Hyun” belongs to the group called, “Infinite,” a famous K-pop boy band. He recorded this solo hit in 2011 about a man who wishes to be with the girl he loves. Through his confusion and pain, he remembers his loved one saying they should not be together and she made up her mind. The song is a great way to learn how to accurately express sadness as it features multiple descriptive idioms and verbs that are often used in conveying a range of deep emotions that include chagrin, nostalgia, and pain. Another thing included in the lyrics is a number of connectors essentially to incorporate the complexity and movement into sentences. Park Yoochun is a Korean singer with a lot of talent. Not only has he been successful with his solo career, but he also leads the popular k-pop band, “JYJ”. “The Empty Space for you” is a song from the Korean drama “미스 리플리” (Miss Ripley) that was very famous in Asia. It tells about an impossible, tormented love where a bachelor comes to realize he cares for a girl that also loves him, but he hopes that what he is feeling isn’t really love and continues to protect her, but later tells her to go then cries his love out for her. This song will help introduce you to informal speech. It consists of numerous casual and declarative sentences that will help you to get a feel for the Korean conversational informal system more rapidly. In addition, it has a variety of adverbs that add rich detail to the sentences. 2NE1 is a Korean style à la Lady Gaga, artistic video. This Korean girl group is one of the tops notoriously unconventional girl groups. The song represents a girl who, a break up with her boyfriend leaves her feeling sad and lonely but she decides to change her life and pick back up. You will learn a variety of structure and idioms from this song that express uncertainty and confusion. The lyrics also combine verbs that portray different feelings to convey personal opinions. Now you know how to learn Korean with songs using FluentU! We hope that you will have loads of fun while learning Korean with these moving, iconic songs.